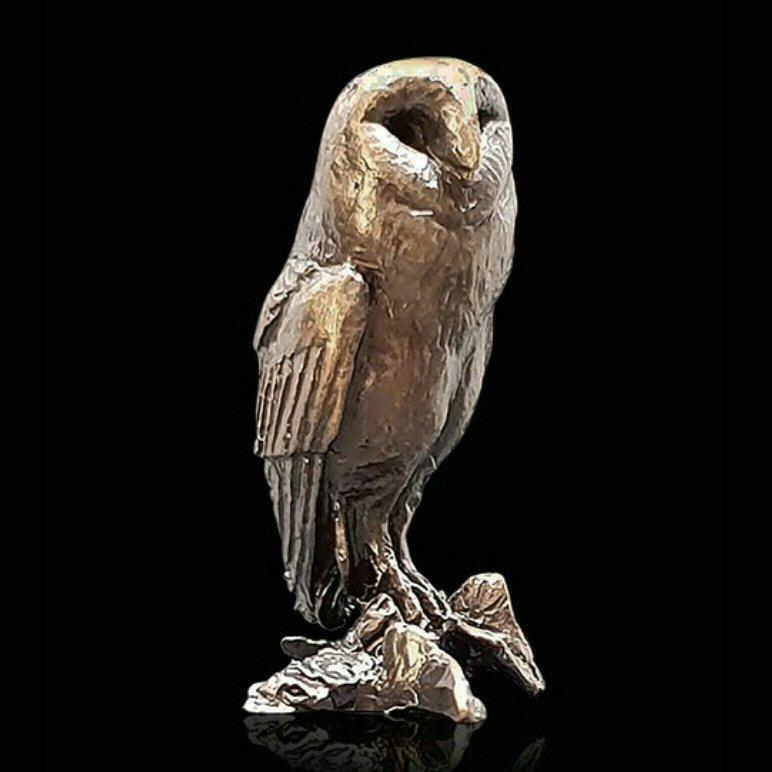 Finely detailed barn owl in bronze from the Butler and Peach collection. One of our most well known and well loved birds, the barn owl's distinctive heart-shaped, white face and black eyes make it instantly recognisable. Its silent flight and extraordinary night vision make it perfectly adapted for nocturnal hunting. A fine small gift for any admirer of these popular birds.